As I like to say, don’t despair for clocks in disrepair. It’s the tagline for this blog and also an accurate summary of this past year. I don’t want to get political, but let’s just say I’ve been less than pleased with the United States in 2016. So many issues are on the forefront of a partisan battleground, while children and civilians around the world have been living through battlegrounds in their own homes. Tense international situations are causing global concern, and allies and adversaries hold a more nebulous place than they did previously. Now, more than ever, is a time to look back at our past. 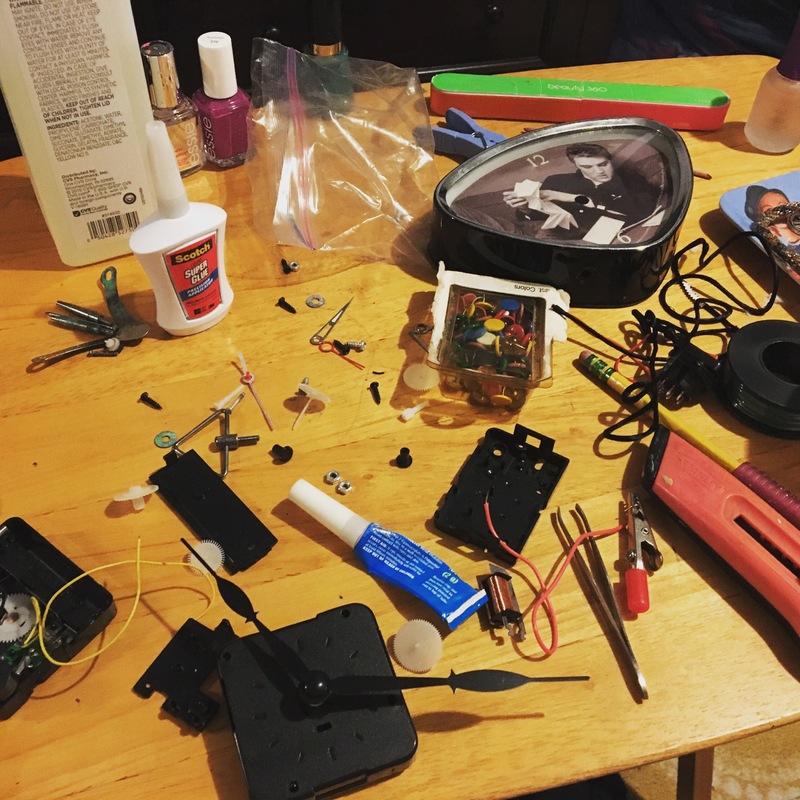 Now is a time for fixing broken things and learning new skills. As jobs are automated or are being sent oversees, the people with the most to lose have their livelihoods in jeopardy. Now is a time when we as a country have to learn new skills and have to work together to stitch a divided country back together. 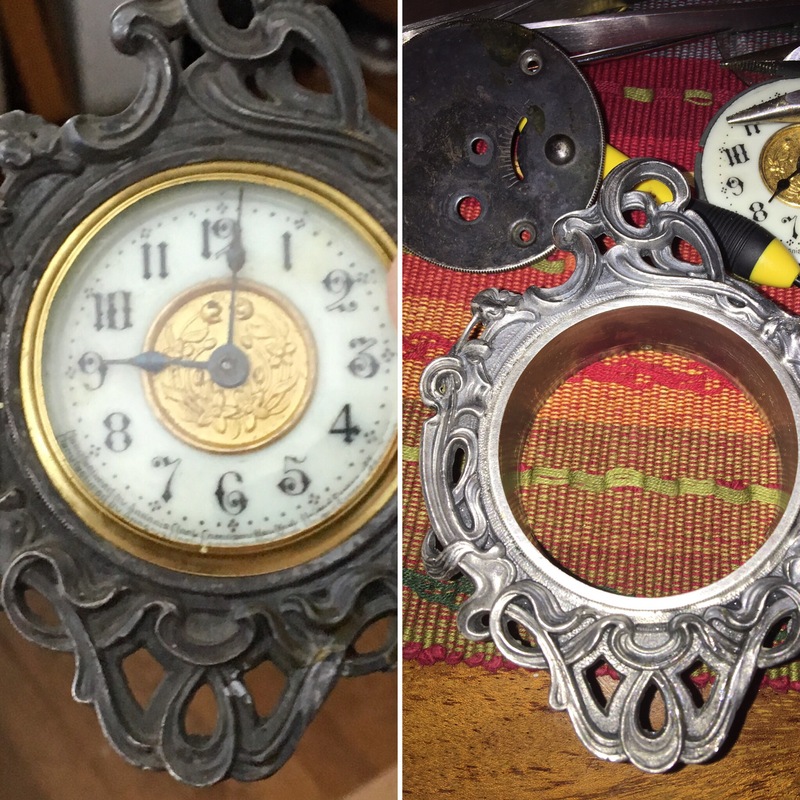 Much like the late 1800s, when many of my clocks were made, this is time of national conflict. Sometimes I’m not even sure what we’re fighting about. 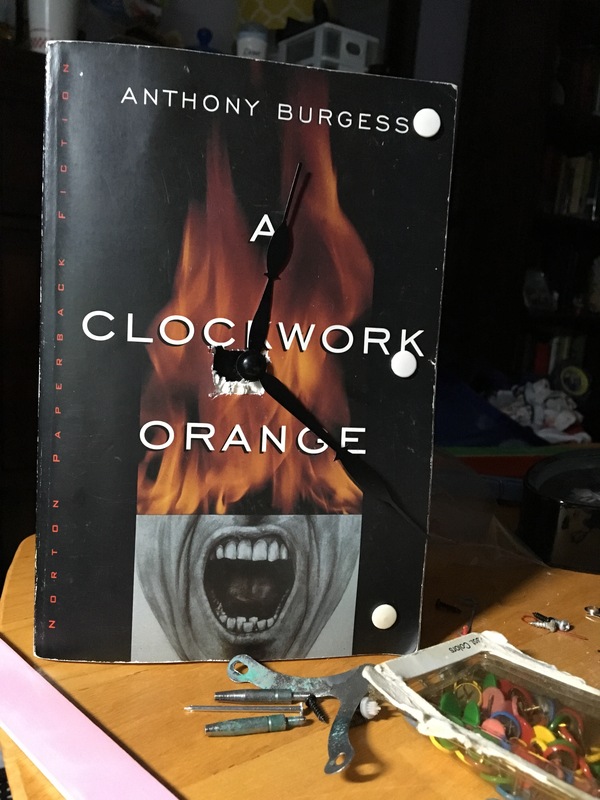 I’m proud to say that 2016 was the year I discovered clocks. 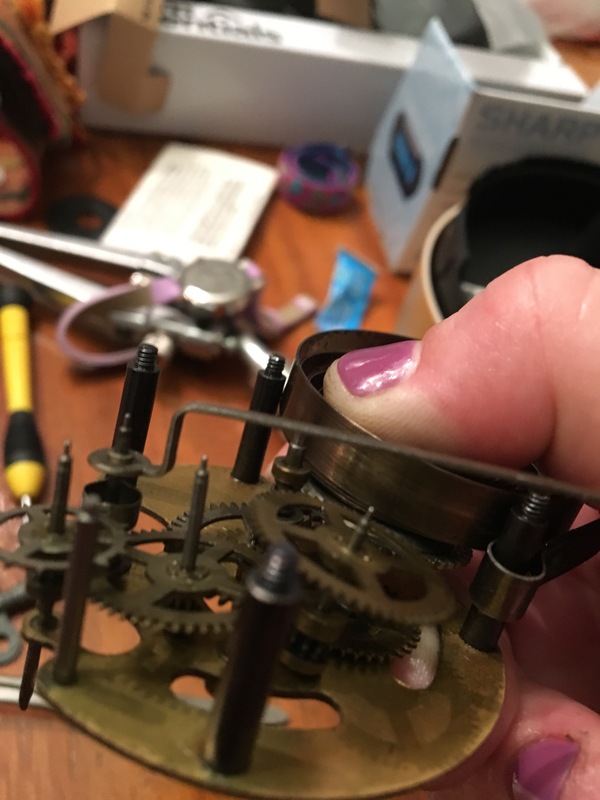 I played with any and all, from putting a Quartz movement into a copy of A Clockwork Orange, to spending months cleaning the case of a c. 1905 Art Nouveau spelter Ansonia figurine clock. 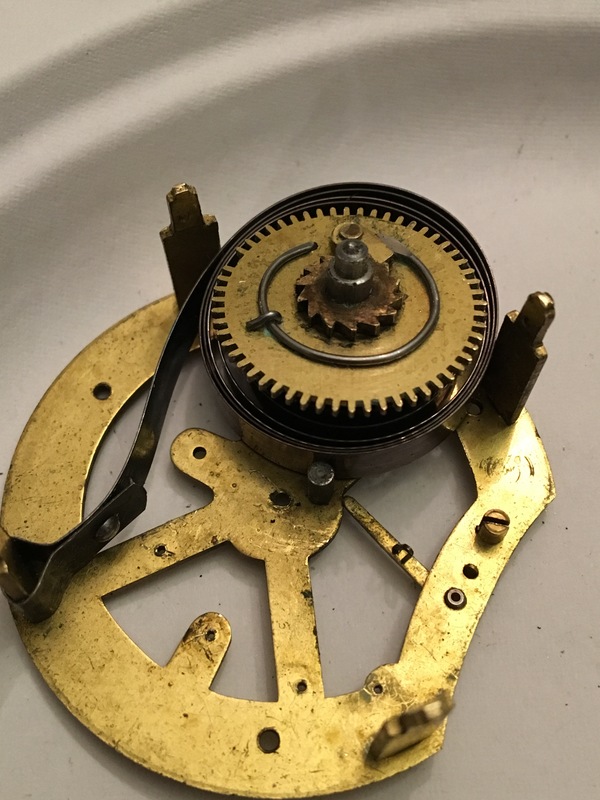 Above and below, a Lux Bluebird Pendulette clock. 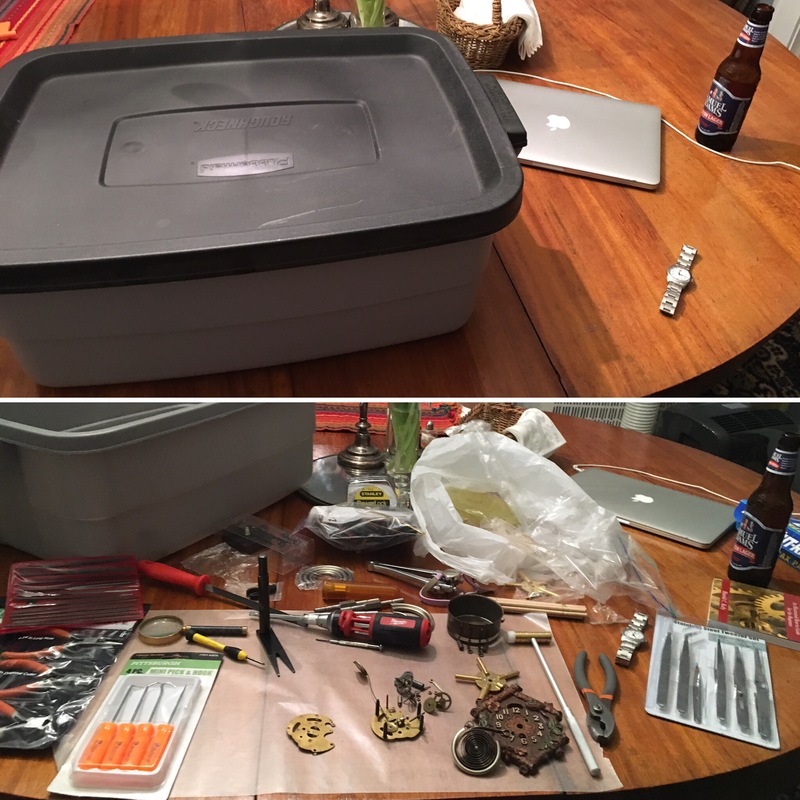 Above, some of my tools. Above, a 555 Shanghai Company Clock from China. 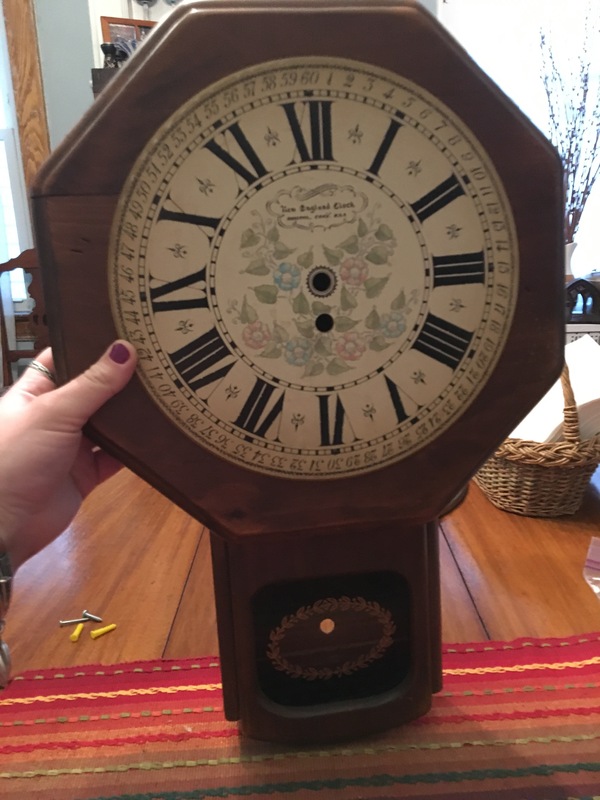 Above and below, my Ansonia not-a-wall Clock. Below, Amelia Cuckoo over many, many weeks. I can’t leave out my foray into book reviewing, where I learned all about the extraordinary John Harrison. 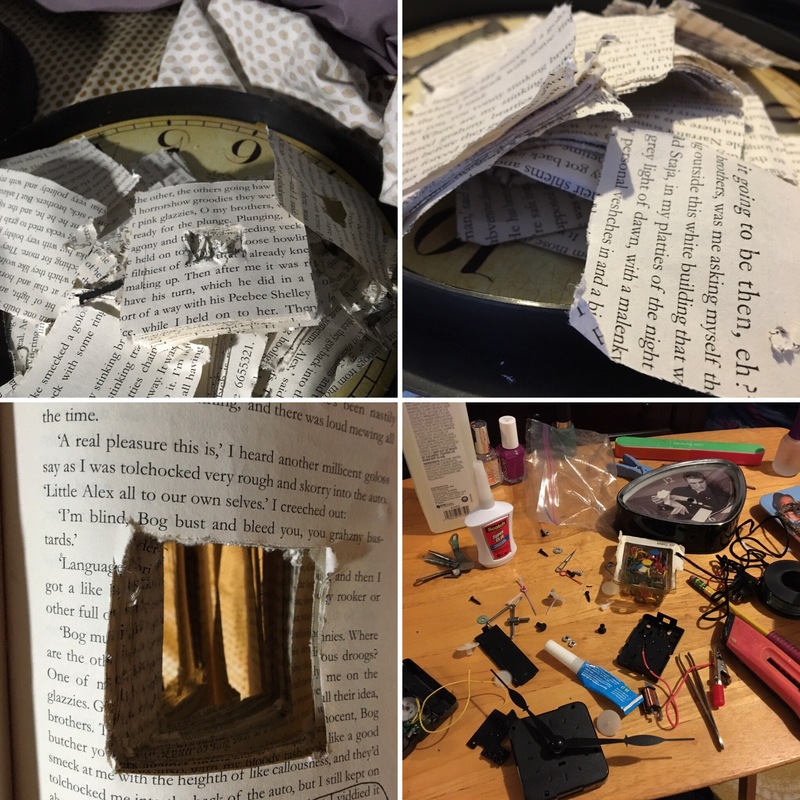 There were a few other odds and ends that I worked on, as well. But far and away the most popular of my posts this year were the two about the Columbia High School Clock Tower. I haven’t gotten to take it apart, but I did quite a bit of research on it, even taking a field trip out to the Archives at the Museum of Time in Columbia, PA. The clock was installed in 1927 and will be 90 years old very shortly. 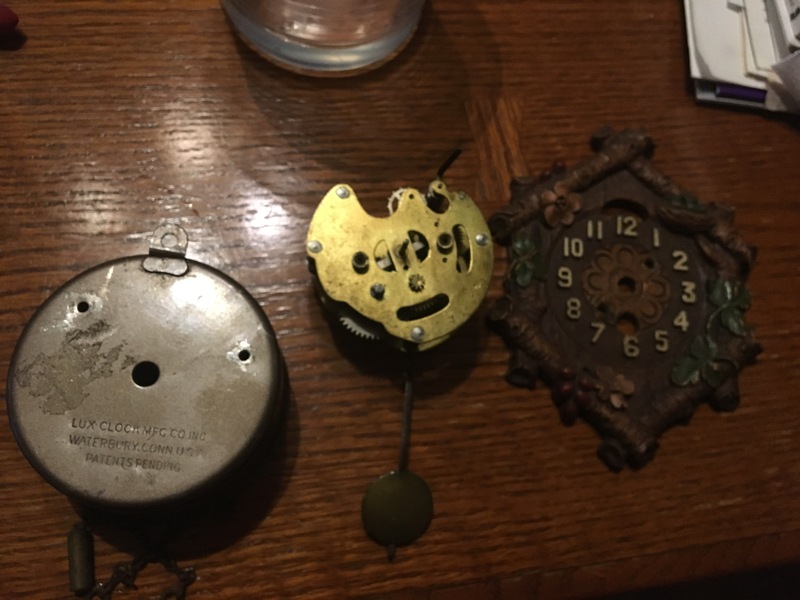 I was lucky enough to get a tour of the clock tower and write a summary of the clock here. There’s been some talk of the clock on the local Facebook page as well as out and about in town. 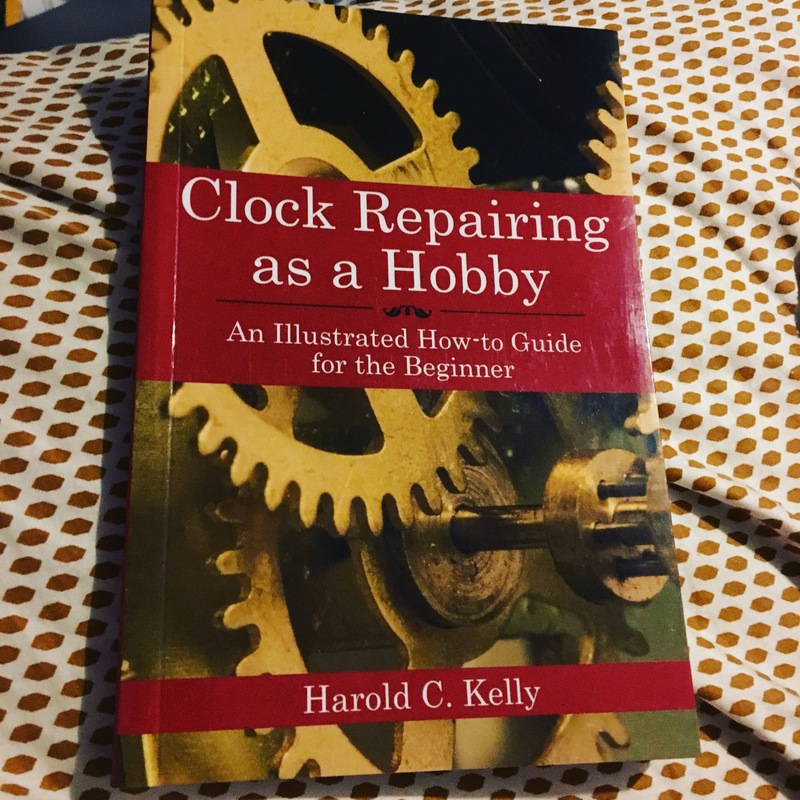 Amazingly, Matters Magazine will be running an article on the clock in their January 2017 issue, just because I brought it to their attention! It’s amazing to speak up in the community and be listened to. The people I’ve talked to understand why I care about the clock, and some of them care too! 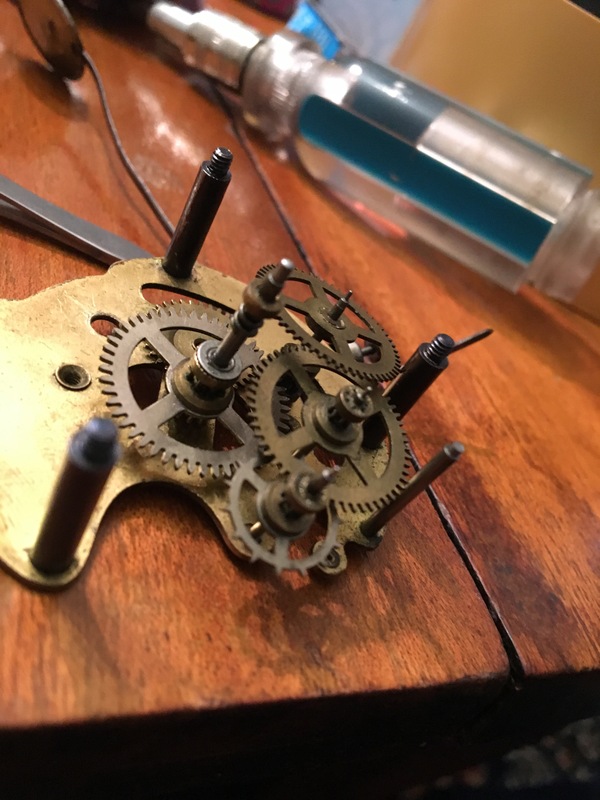 I wrote a follow-up post for those interesting in the inner workings of the clock. It’s been a roller coaster of a year, but if there’s one thing I can count on it’s that there will always be things that need to be fixed, and fixers will always have something to do. I think everyone is a fixer in one way or anything. 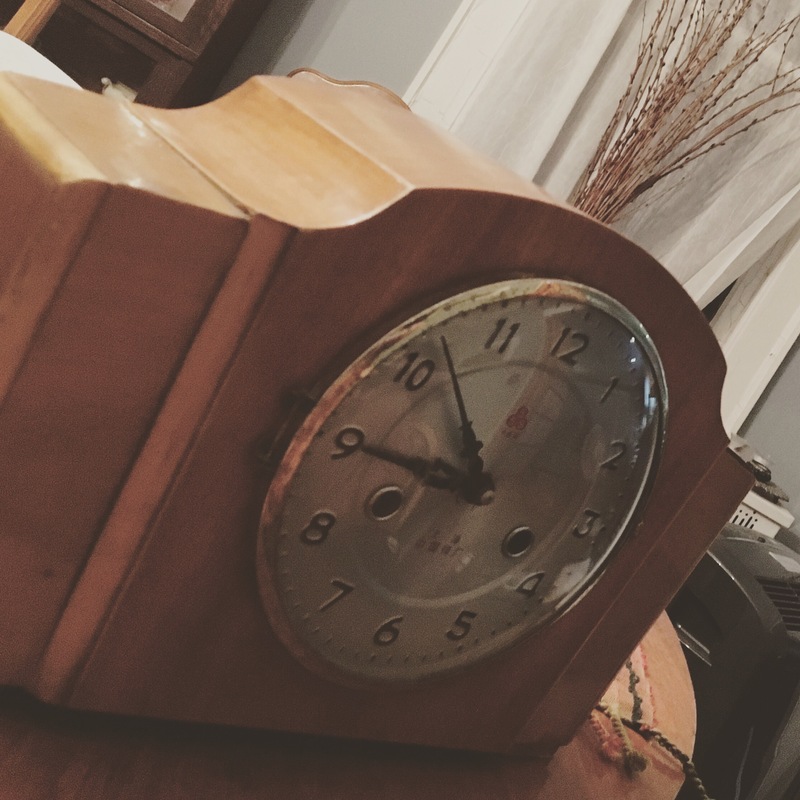 There’s more than just clocks that need fixing right now, and clocks are on the easy end of the spectrum. 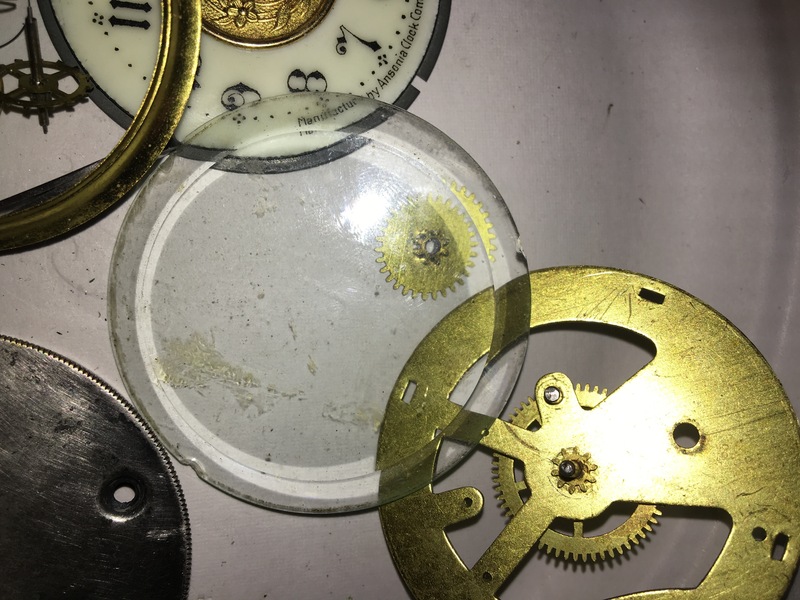 All those moving parts, some of them small and easy to forget, and those thin pins that I tend to break; pendulums that won’t swing, balance wheels that won’t spin, and to think that clocks are the easy fix in our world right now. What do you want to “fix” in the upcoming year? Each of us has our own agenda of what we want to see changed in the world right now, and we are allowed to prioritize differently and care about different issues. What I hope for all of you, regardless of your views, is that you find a way to play your part instead of watching from the sidelines. Maybe it’s voter registration in a local urban area, or maybe it’s installing safer stairs on your front porch. Either way, if it’s important to you then it’s important, period. I wish you all a Happy New Year and hope that you manage to fix something this year, big or small. Thanks for reading 🙂 See you soon!